Height from bottom of bag to top of sturdy handles 18". Just added another tried to take one outside coloura bit better. Further slip pocket consists of a further zipped pocket and 2 slip pockets. There is also a small slip pocket to the rear of the bag. The flap is magnetic fastening with a pretty leather knot. There is a very tiny catch in the leather on the rear of the bag, near to the bottom right hand side just above the base. RADLEY SANDHAM GREEN LEATHER HANDBAG SHOULDER TOTE BAG LARGE RRP £219!!! NEW!!! RADLEY SANDHAM GREEN LEATHER HANDBAG. 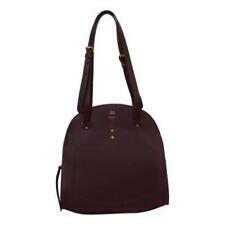 Radley Sandham Saffiano leather zip top tote bag. Complete with Radley dog charm and dust bag. RRP £219! SHOULDER TOTE BAG LARGE. Long handles for holding or putting over shoulder. 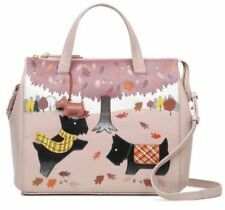 New Radley "Deck the Tree" Large Signature Picture Bag. Includes coin purse and dust bag. Approx size Depth 11cm, Width 29.5cm, Strap Drop 44cm. 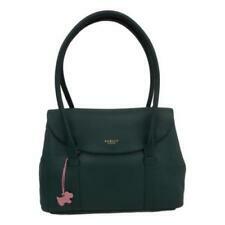 Radley "Classic Medium Tote" Green & Black Leather Tote Handbag (55892). Condition is Used but in stellar condition. Complete with dust bag, item very well looked after. Like new. Radley Signature/Picture Bag & Coin Purse - 'Deck The Tree' - NEW. External Features: The bag has a zip fastening. Grab handles and longer detachable and adjustable shoulder strap. Slip pocket on the back of the bag. RADLEY PICKERING GREEN LEATHER HANDBAG SHOULDER CROSS BODY BAG RRP £229 NEW!!! RADLEY PICKERING GREEN LEATHER. RRP £229 ! HANDBAG SHOULDER CROSS BODY BAG. The inside features internal pockets which includes a phone pocket. 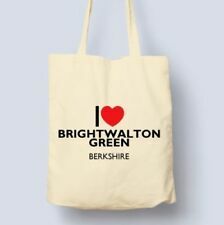 AND THE CONDITION OF THE BAG. STUNNING PINK GREEN LEATHER DECK THE TREE 2017 SIGNATURE CHRISTMAS MULTI WAY BAG. INSIDE HAS A DETACHABLE MATCHING COIN PURSE. SLIP POCKET ON THE BACK WITH BAUBLE. TWO SLIP POCKETS TO THE OTHER. GROSGRAIN LINING. 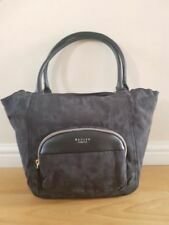 Lovely radley soft leather bag zip closure interior as new exterior slight stains on leather which does not detract from overhaul look of bag marks on base as shown in last image 2 zip pockets interior 2 small pockets for phone etc. Radley Large Size Green Leather "Deck The Tree" Multiway Shoulder or Grab Bag with Coin Purse. Inside Pockets - 1 slip, 1 zipped and 1 phone plus the Radley leather emblem. Outside a slip pocket at the back. NATURAL ECRU COLOUR CANVAS WITH BOLD LONGLEAT ANIMALS - PALMS & RADLEY DOG PRINT. "LONGLEAT" DESIGN. GENUINE RADLEY LONDON. RADLEY Dog Out & About Making Friends with the Safari Animals. RADLEY ORMOND GREEN LEATHER HANDBAG SHOULDER TOTE BAG LARGE RRP £209!!! NEW!!! RADLEY ORMOND BRIGHT GREEN LEATHER HANDBAG. Ormond’s dramatic scoop and arched design was influenced by the beautiful, commanding presence of London’s historical city structures. RRP £209! SHOULDER TOTE BAG LARGE. Radley Large Size Green Leather "Deck The Tree" Multiway Shoulder or Grab Bag with Coin Purse. Inside Pockets - 1 slip, 1 zipped and 1 phone plus the Radley leather emblem. Genuine, new RADLEY LONDON Canvas Tote. Folds for carrying inside handbag. Long handles (35cm) for wearing on shoulder. Large leather Green Radley Tangiers bag. Radley Green Tangiers bag large. Very good used condition. Many thanks for looking.